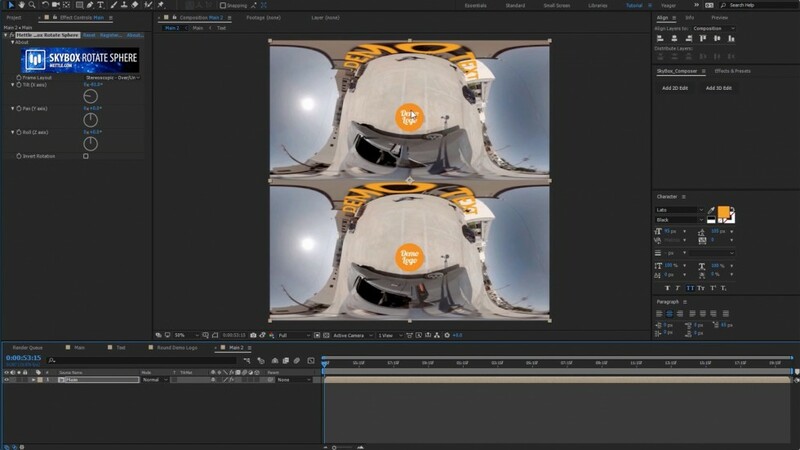 Stereoscopic support is available in “SkyBox Studio V2“, for After Effects, and Charles Yeager(www.yeagerfilm.com) guides us through the features. 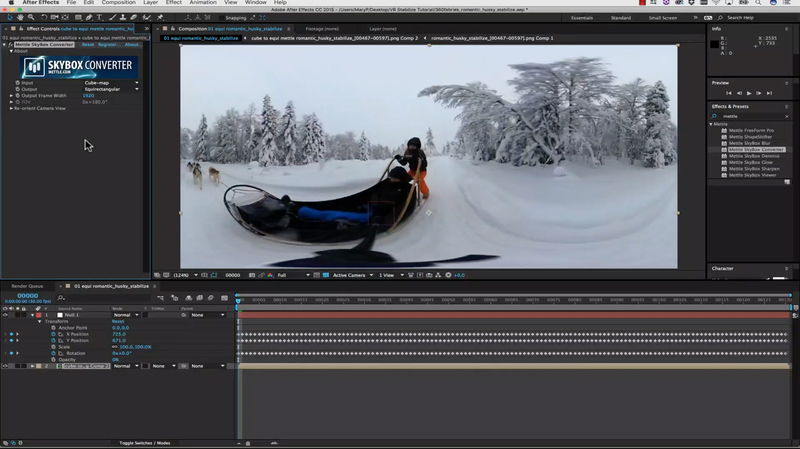 Charles shows us how to level the horizon on stereoscopic footage, as well as add text and a logo. 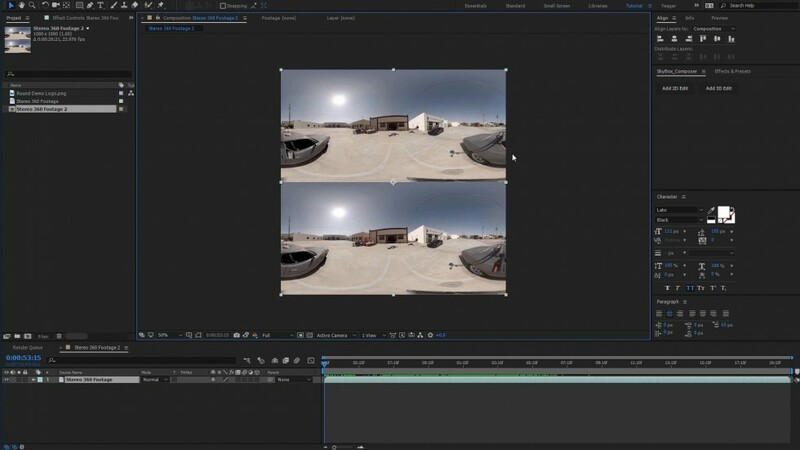 We also see how to apply “SkyBox 360 Post FX” which has monoscopic and stereoscopic support. 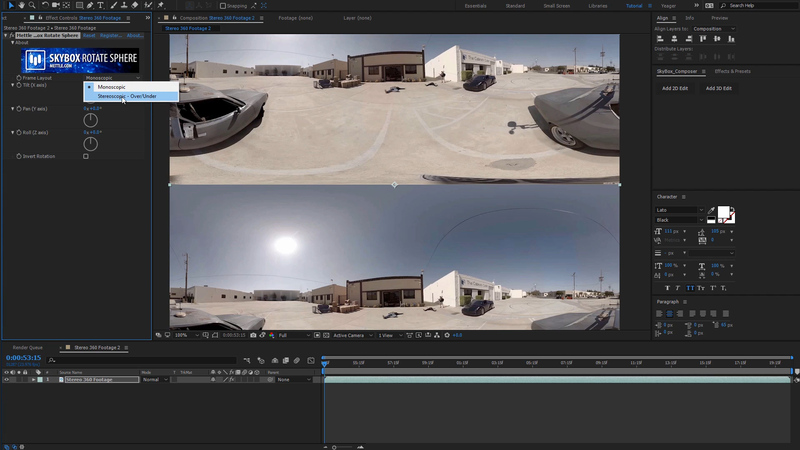 We can easily add a “Blur”, “Glow”, “DeNoise” and “Sharpen” onto our stereoscopic footage. 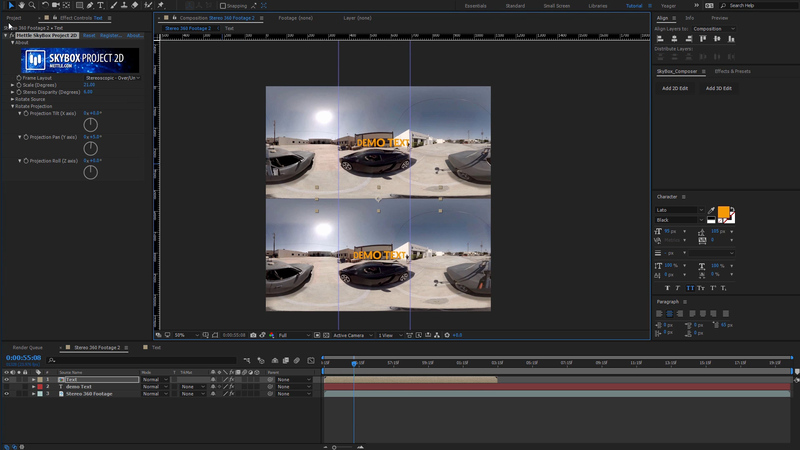 SkyBox Studio V2 supports stereoscopic Over/Under 1:1 format. 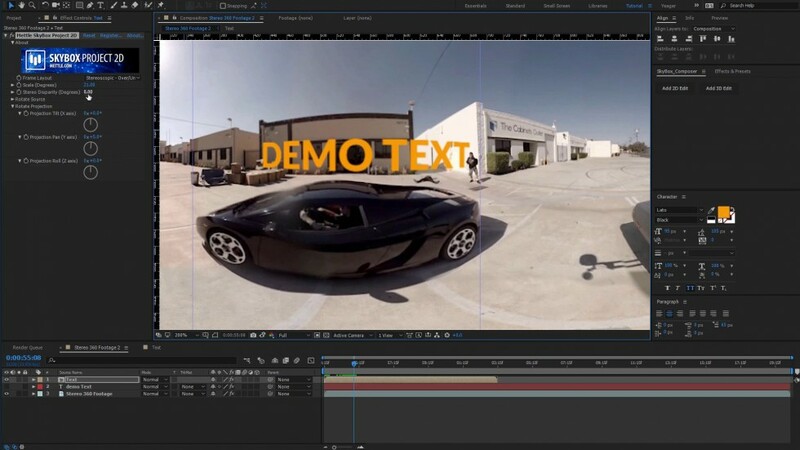 Import your stereoscopic footage into After Effects. 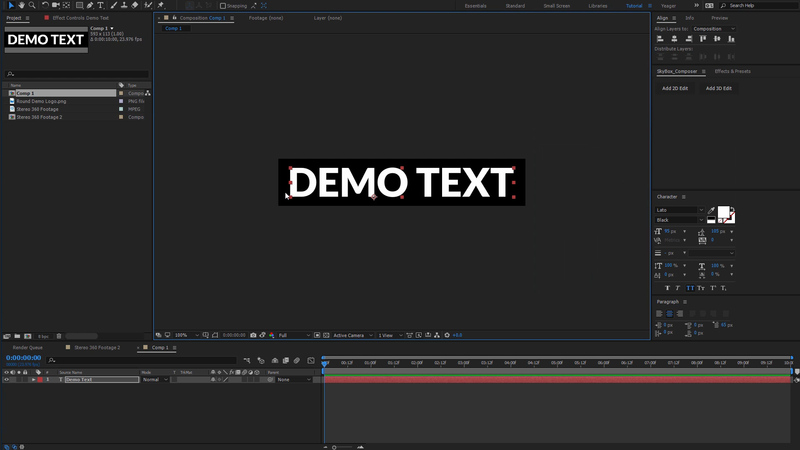 Best method to add text. Create a separate Text Comp, to be placed in your Master comp. Text will stay sharper this way. Place text comp in Main Comp. 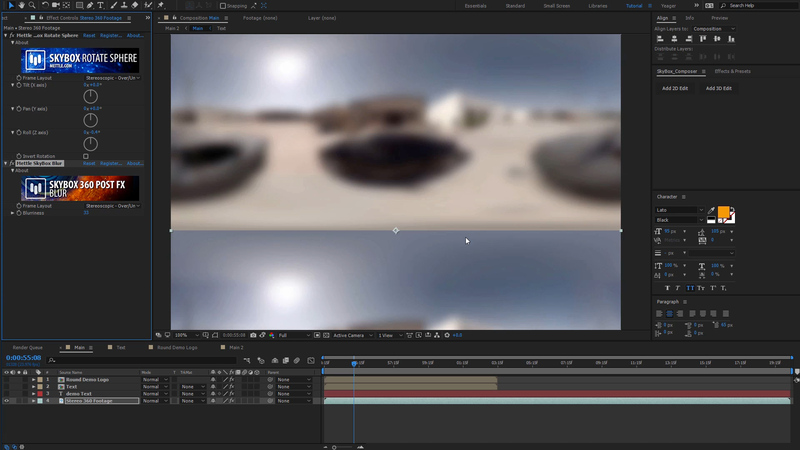 Apply Effects > Mettle > Mettle SkyBox Project 2D. Make sure to select Frame Layout: Stereoscopic Over/Under. Adjust Stereo Disparity. By default it is set at 0°, with no parallax. To add a logo to your composition. Create a separate Logo Comp, and place into your Main Comp. Apply: Effects > Mettle Project 2D. Make sure “Frame Layout” is set to “Stereoscopic Over/Under”. Rotate 90° on the X-axis to place the logo over the Nadir. Quick Tip: A round logo is placed exactly at the bottom of your composition when it appears as a straight line in equirectangular view. Rotate the view to see that the logo appears correctly over the Nadir. 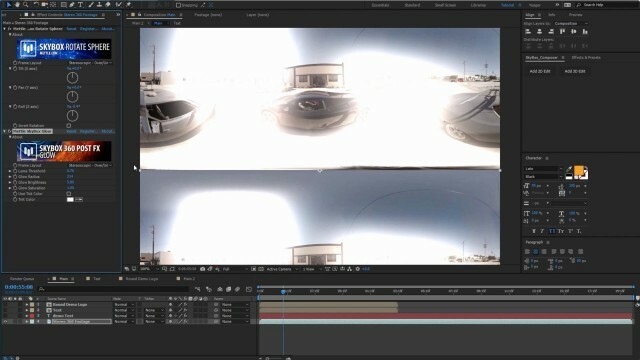 SkyBox 360 Post FX: Apply Effects > Mettle 360 Post FX > Glow. A sharp line remains across the meeting point of Over/Under footage, as the effect is applied separately to each eye. 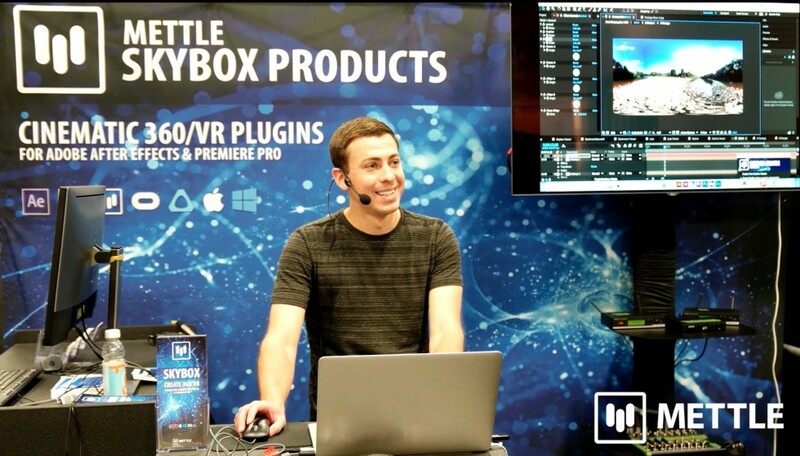 Watch Charles present at Adobe Max 2016.
hi, i cannot place my text where i want it, it seems impossible to move it to the left and then down, its either one or the other. can anyone explain why this is?